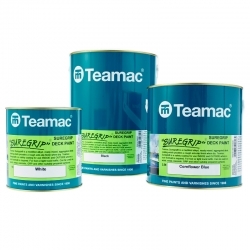 Decking paint is often seen as a twice seasonal product – firstly to restore, rejuvenate and add colourful protection to exterior decking at springtime, to last through busy summer footfall, and secondly during autumn, to protect, seal and treat any damage generated throughout the year before the chilly winter weather sets in. However, buying the right decking paint, treatment, stain or oil, will restore, rejuvenate and protect decking 365 days a year - and for many years to come. So, whether the decking project you are working on is purely a decorative exterior area - like in a stately garden, national park, or exterior hotel eatery - or it is a heavy footfall, seasonally busy pedestrianised area, such as those found at seaside resorts, amusement and theme parks, shopping centres and horse racing or other sports venues, Rawlins Paints has the best decking products of 2018, for you. 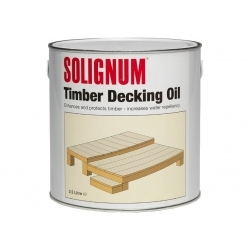 Solignum® Timber Decking Oil is a brush applied oil, which enhances and protects timber and provides water repellency. Designed for the treatment and care of exterior wooden furniture, doors, decking, windows etc. contains UV filters which will slow down the greying process. 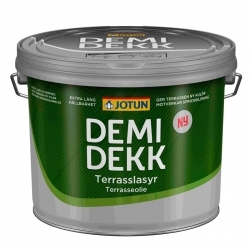 Jotun Demidekk Decking and Garden Stain is a water-based wood oil for outdoor use. 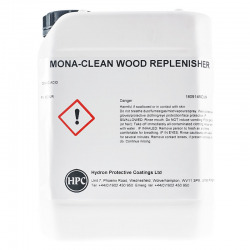 It is a special product for treating outdoor wood and pressure impregnated woods that are used, for example, in the construction of patio decking, balcony floors, garden furniture and pergolas. A well-kept decking area is one of the modern wonders of the world! Solid decking boards are frequently close to marine or aquatic environments – lakes, ponds, or streams for example – and thus prone to fungi, algae and moss-growth. A suitable decking treatment can protect the decking against discolouration, weakening of its structure, splitting and cracks appearing, and warping from changes in environmental humidity. The preparation of a surface – both new and on restoration/refurbishment projects – is key to decking getting the full lifespan of a product’s protective qualities. Exceeding sufficient preparation will lead to longer lasting colour, waterproofing, and structural strength. Do not simply wash and scrub down decking with common cleaning products – treat the decking, apply any woodworm treatment if required, fix holes, cracks and splits with a high quality, exterior and waterproof wood filler. All decking paint, treatments and wood stains available here today at Rawlins Paints come with product data-sheets, giving clear surface preparation guidelines, application advice, drying time and recoating schedule recommendations, etc. Please refer to these at all time, and for further technical or application support, contact a member of Rawlins Paints’ team. Picking the correct decking product at Rawlins Paints can not only waterproof and protect decking from UV damage, but add an anti-slip finish too. This is ideal for pool-side decking, or exterior decking that needs to withstand summer downpours - for years to come. 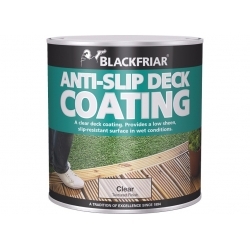 Blackfriar's Anti-Slip Decking Coating is available as a clear finish, that will maintain and enhance the colour and grain of the underlying decking wood type, whether it is pine, oak, ash, cedar or larch. One of its main benefits is that it can be applied over previously treated or painted decking to simply add an 'invisible' anti-slip layer. Many people want to keep the natural look of decking wood, and in this situation, we do not recommend decking paint, which does allow for more colour variation, sealing of gaps and cracks, and a better repairing of weather damaged wood. Painted decking can be easier to clean than stained decking (other than white painted decking! ), and when cured correctly can add a ‘hard shell’ which is easier to brush down – dust, debris, water. Decking paint is often a preferred choice due to many paints offering excellent waterproofing qualities, as well as UV protection, rot, mould and algae resistance, along with a wider variety of finishes. This does of course depend on the surrounding area – which if heavily built up with ‘brand’ colours, may be best suited with a matching decking paint. One downside of decking paint is that once painted, it can be extremely difficult to then change to stain later. Essentially, once decking paint is applied, you’ll always be using decking paint. Paint can also be more slippery than decking stain – not ideal for heavily pedestrianised areas, unless anti-slip paint is used. For natural decking colours, Jotun Demidekk Decking and Garden Stain is available in a wide range of wood finishes to completely transform, or simply enhance the wood type of the decking. From winter-esque shades, to neutral colours, and right up to bright finishes for the summer outdoor months, where decking areas are typically seen as centrepieces of gardens and outdoor hospitality areas. Suitable for patio decking, balcony floors, garden furniture and pergolas, it is one of the most popular decking coatings in the UK. Clear, colourless and translucent wood stains will help retain the natural look, feel and aesthetic of external decking – bringing out the rich wood tones, grain and even its knotting. Less slippery than its counterpart – paint – decking stain and anti-slip decking coatings can also can look better over larger square feet areas. Decking stain colours are also quite varied, with many products available at Rawlins Paints allowed for visual versatility and flare. Please note that decking stain colours are heavily dependent on the wood it is being applied to – darker woods may not bring out the colour of the stain as seen on packaging. 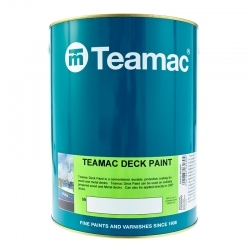 It is recommended for paints and stains to test an area of decking first to ensure that the finish is as required. Wood stain does not fill in gaps and cracks like paint does, nor will it protect the wood as long. It does, however, deliver many characteristics that paint simply cannot. Please contact Rawlins Paints if you have any questions or concerns about a product’s finish, preparation advice, oil and grease removal, or more general cleaning and maintenance advice. Always ensure that decking is clean, mould and algae-free before applying any coatings available at Rawlins Paints, to ensure the best colour finish, water, weather and UV-protection, and long-lasting flexibility of the coating.